What Are the Best Tomato Varieties to Grow for Making Sauces? 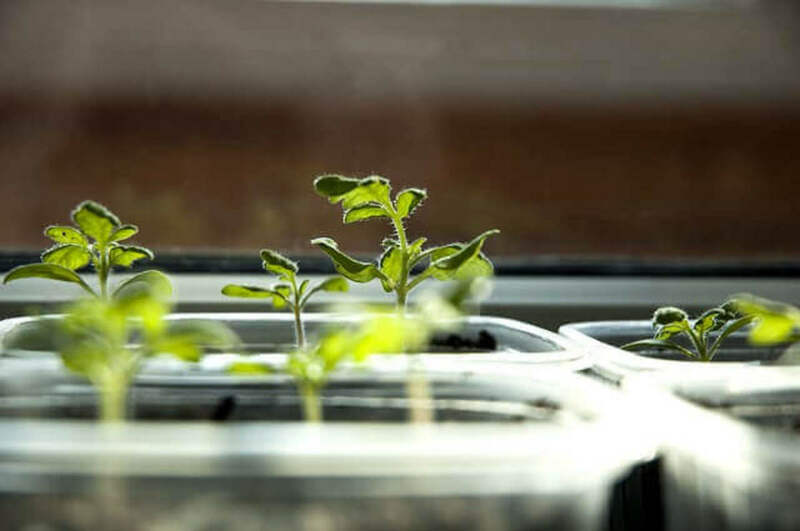 You can grow food anywhere, from making the most of small spaces available to you, to larger growing projects such as managing an allotment. 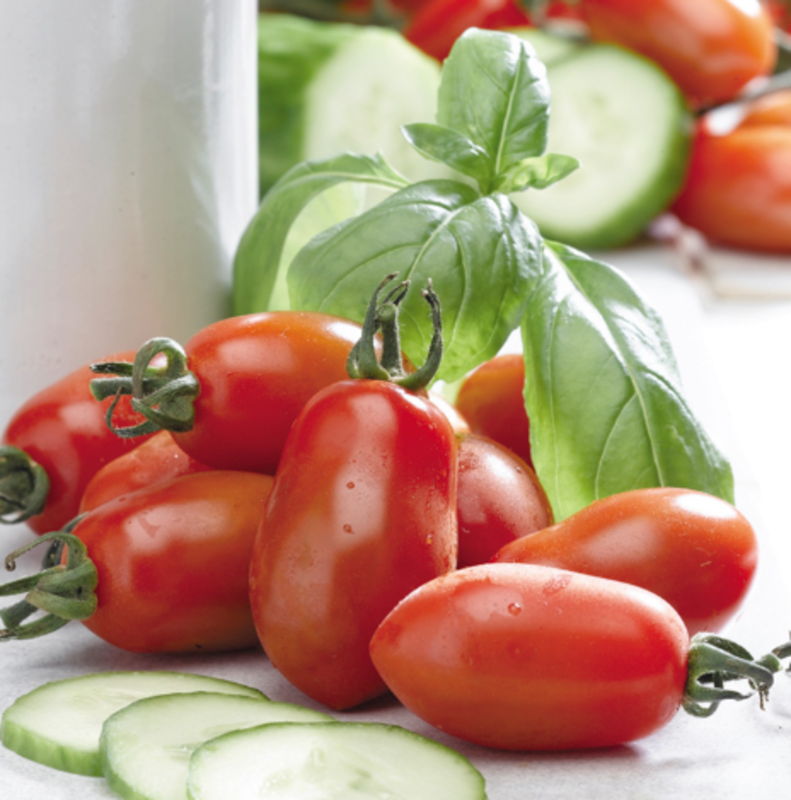 A popular plant for any kitchen garden, tomatoes come in all different varieties. The most common to obtain are those used raw in salads, but of course different varieties are available from those that are delicious sliced and fried, to those that are used to create tasty soups and sauce bases. 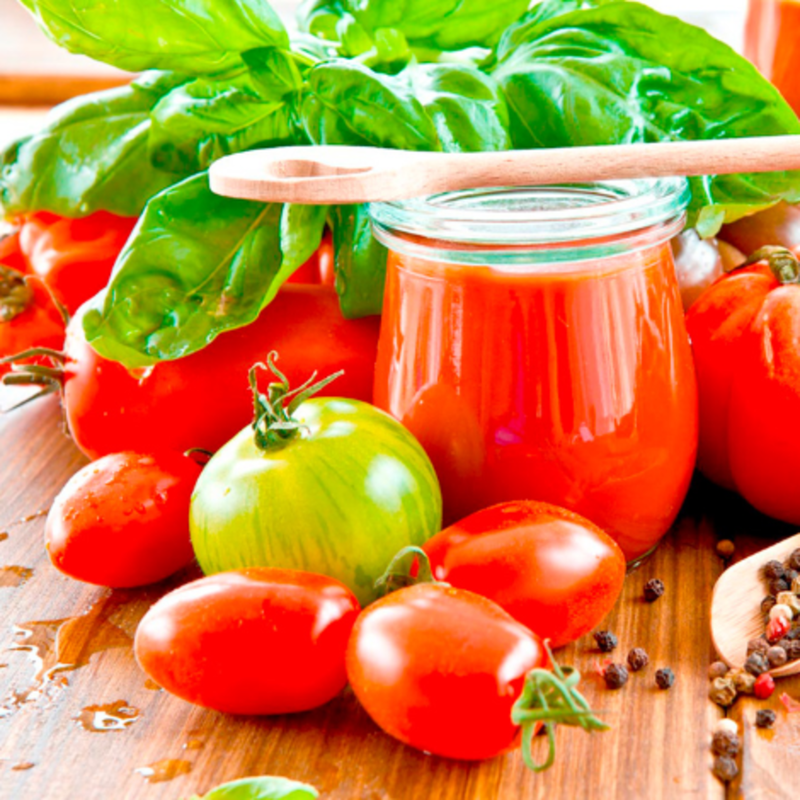 With the right knowledge, tomatoes will give you a steady crop for use in the kitchen to make your own flavoursome sauces the whole year round. 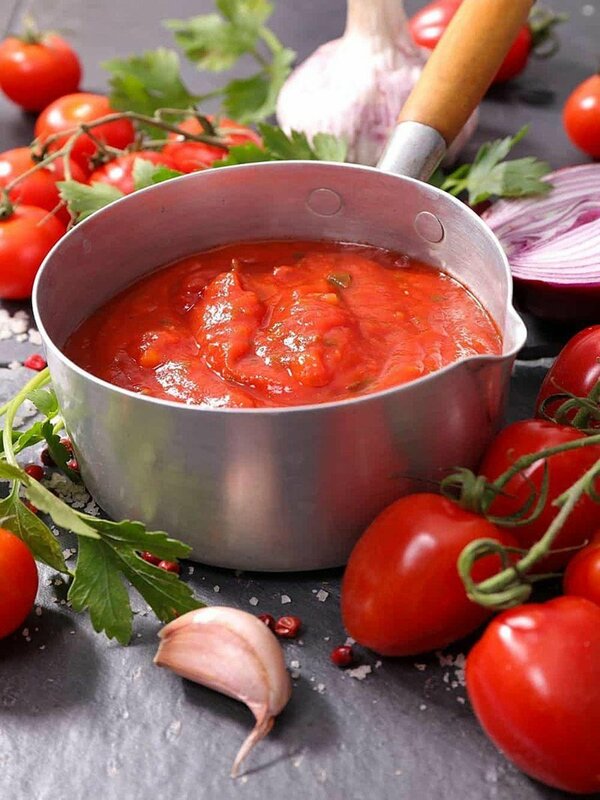 Sauce tomatoes are somewhat bland if eaten raw, but when cooked, the flavour is released to make a rich and nutritious base, full of vitamin C, potassium, folate, vitamin K, and the antioxidant lycopene, which has been linked to many health benefits, including reducing the risks of heart disease and cancer. 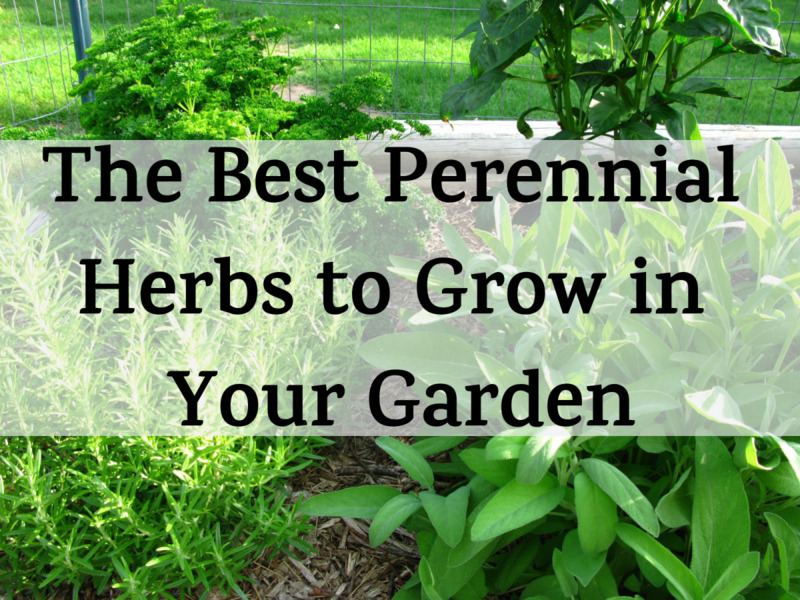 So which are the varieties worth selecting for your garden? A large-fruited Italian plum tomato, Giulietta produces egg shaped fruit from July to September, and grows well even under cool conditions. It thrives in greenhouses, or when grown in a sunny, sheltered outdoor spot. 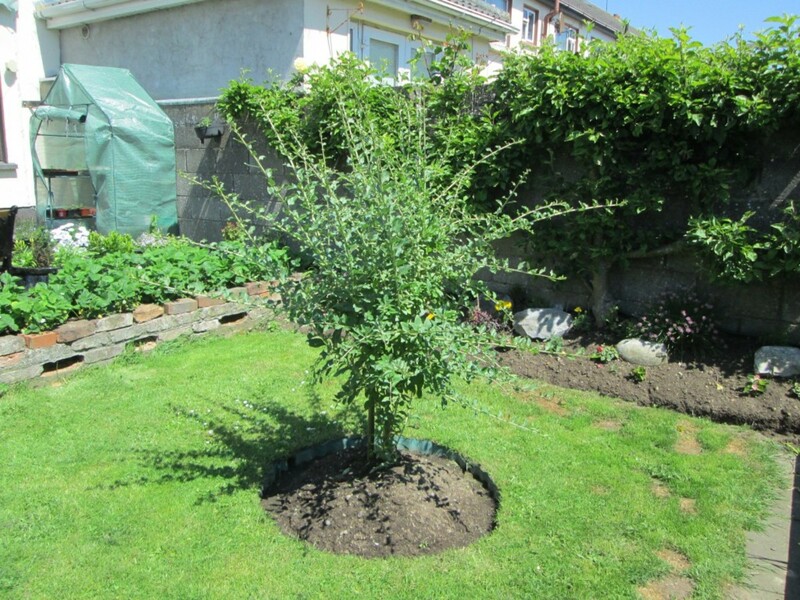 Giulietta will grow to a height of up to 200cm so will need to be secured to stakes, and grown about 50cm apart. 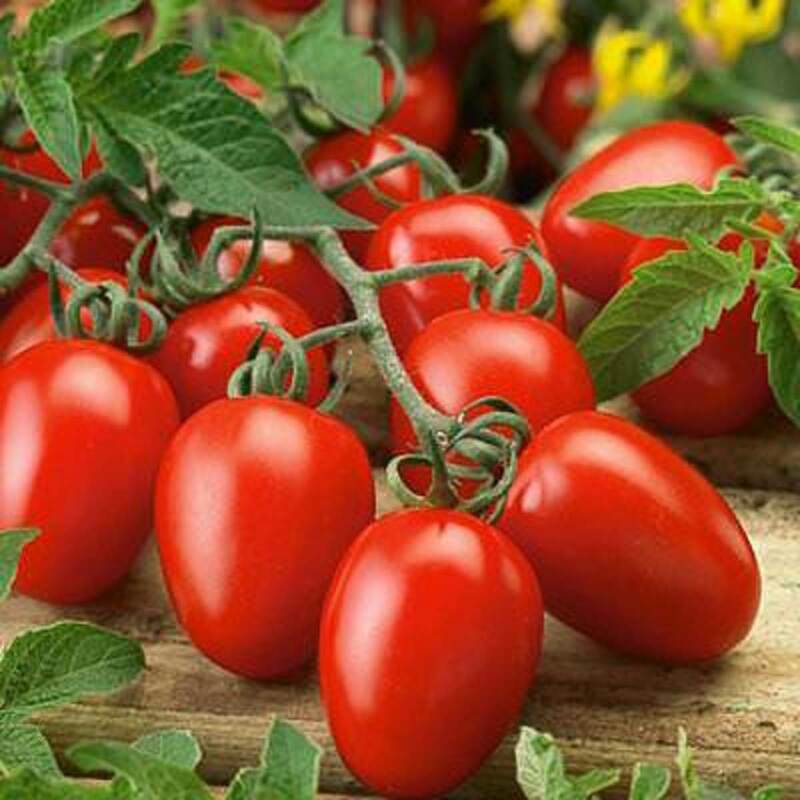 It is a large-fruited tomato, producing high yields and is resistant to a great number of diseases, making it easy to grow. As they are resistant to most soil-borne pests and diseases, they can be grown straight in the soil as opposed to grow-bags. Prized by Michelin chefs, the San Marzano is a famous heirloom variety, grown by kitchen gardeners for over a century. With a low water content, it is perfect for creating pasta sauces, rich passatas, and even pizza sauce. The fruit has a high protein level, plenty of flesh, and few seeds, and will thicken naturally when cooked, requiring less cooking time to evaporate excess moisture. This tomato has to be my favourite! Whilst this will grow well in a sunny, sheltered spot, this tomato loves to be kept warm, so will produce the most fruit when grown in a greenhouse. They prefer to be grown in pots, and whilst they need to be kept moist, overwatering will damage the plants. They enjoy humidity, with an ideal temperature of around 60˚- 65˚F (16˚-18˚C). Producing fruit from mid-June to early October, these plants are ideal for patio pots, containers, beds, borders, and patios. 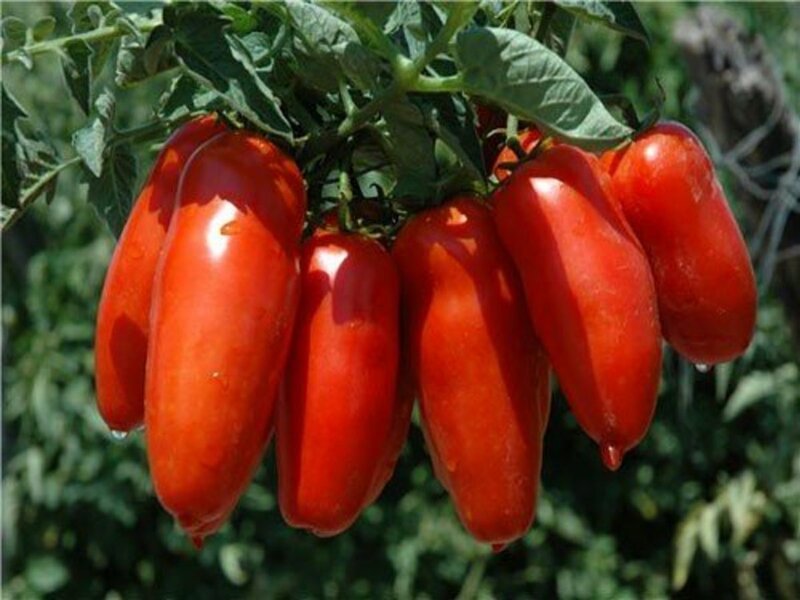 With a meaty flesh and few seeds, this Italian heirloom variety will produce reddish orange fruits around 15cm long. They are an ideal variety for using for sauces and a paste, as you would expect with a name like this! 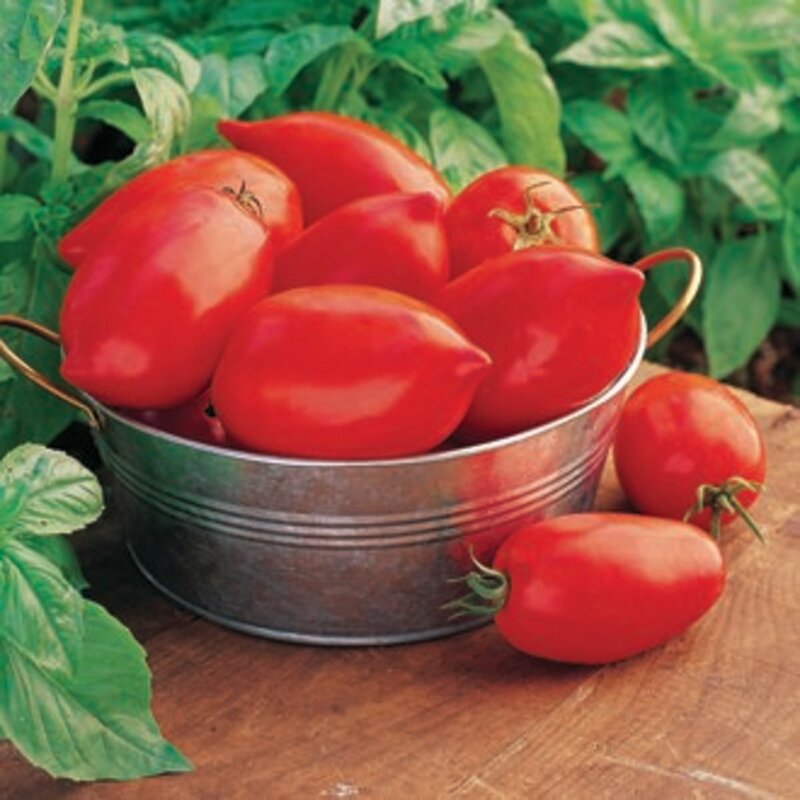 As they will grow on the vine, they will not all ripen at once, so you would benefit from growing several Super Italian Paste tomato plants at once and stagger your harvesting to provide a steady supply of tomatoes for your sauces. These are fairly susceptible to diseases called Blossom End Rot caused by calcium deficiency in the soil, and also Late Blight. Keeping the plants humid but not too wet is very important, and it is best therefore to grow these in pots so that you can move them out of the greenhouse if it starts to feel like a jungle in there. 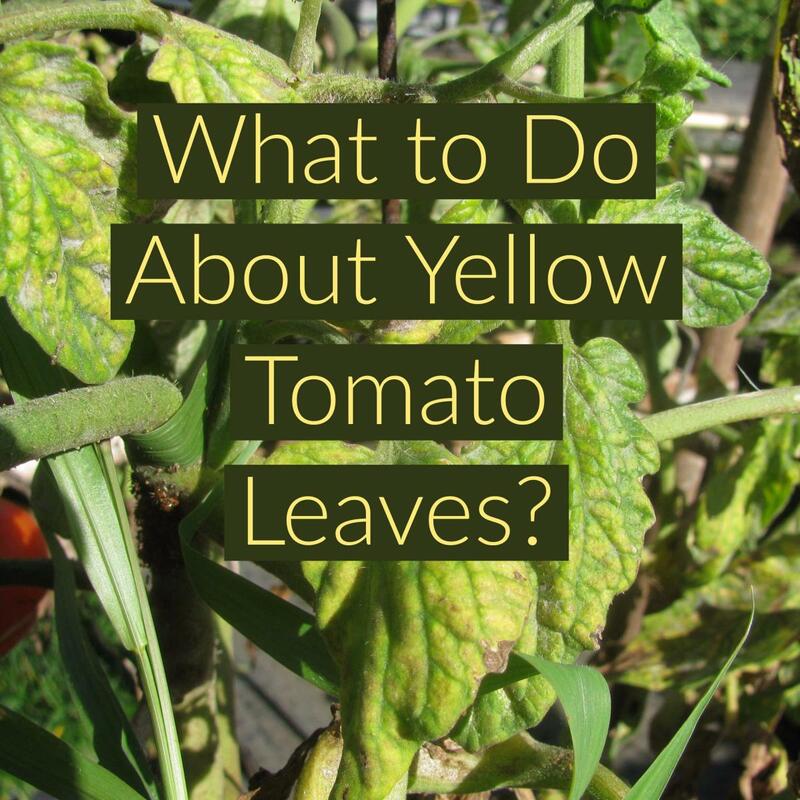 They are also prone to attacks by flea beetles, so you might want to consider covering the plants with a mesh to keep these little monsters away from your tomatoes. A very popular variety, used predominantly for creating pastes and passatas, Roma will also provide the base for delicious sauces. The flesh of the Roma is firm and low in seeds, but it is worth noting that only one fruit will ripen at a time on the plant. 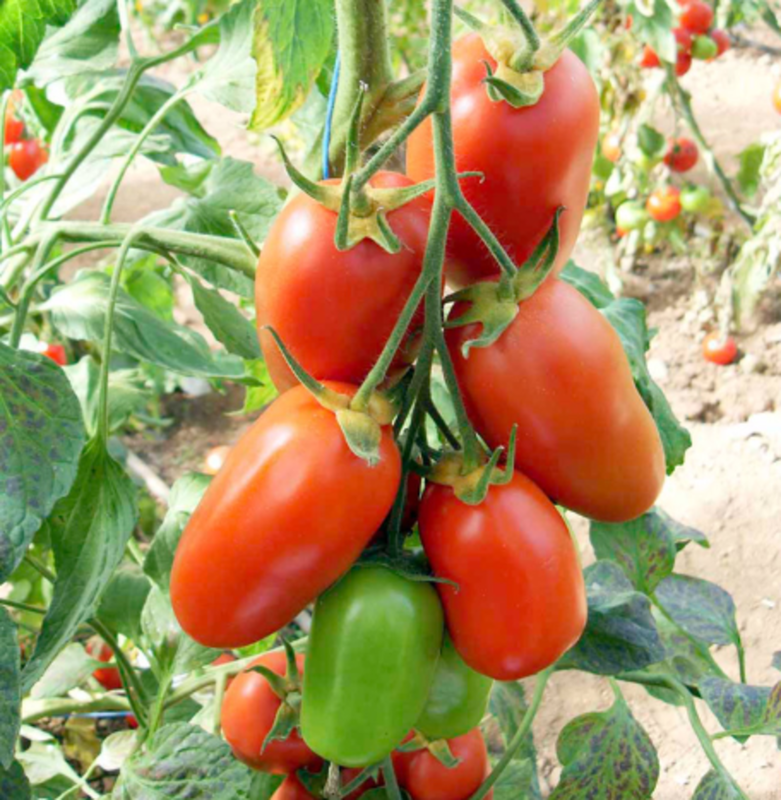 You will need to grow several plants in order to produce enough tomatoes to provide enough substance for a sauce. The alternative of course, is to dice and freeze them as you pick, until you have enough put aside to produce your tomato pastes. These are fairly disease resistant, but enjoy being grown in a greenhouse in pots. As the fruit is heavy, you will need to prop the plants with canes as the fruit will otherwise be too heavy for the stems and the vines may snap before the fruit is able to ripen. A variety from the Roma family, these tomatoes are good all-rounders. You can enjoy them raw as they are more flavoursome than cooking tomatoes, and they can also be used to create salsas and tomato ketchup. 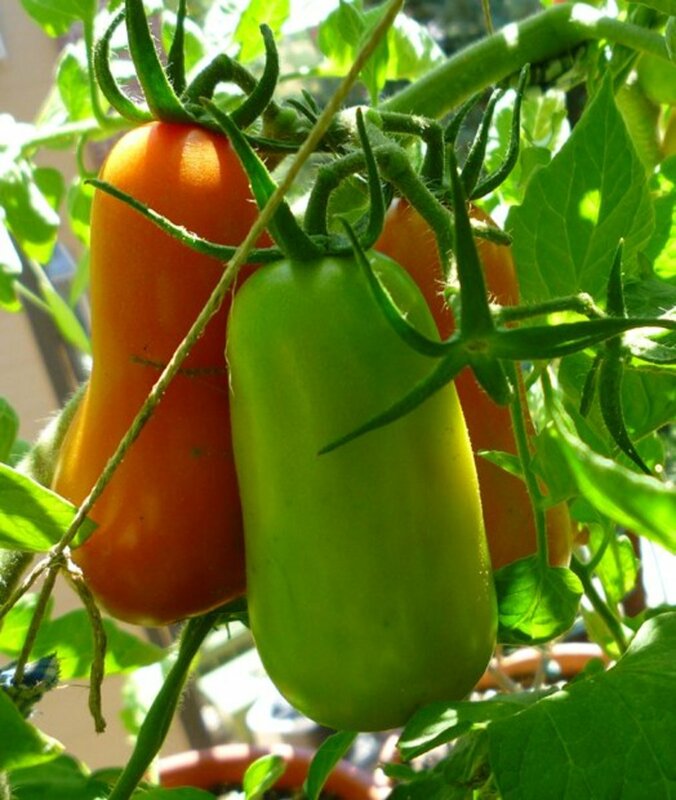 This tomato loves hot weather and is suitable for those living in a warmer climate. Planted in spring, the fruit is ready to harvest between 60-90 days. As it is resistant to a lot of pests and diseases, Viva Italia is also fairly easy to grow, and its versatility makes it a popular choice for many home and kitchen gardens. As with most other tomatoes used for sauces, it will do well grown in a pot and supported with canes. These tomatoes, as the name suggests, are enormous! 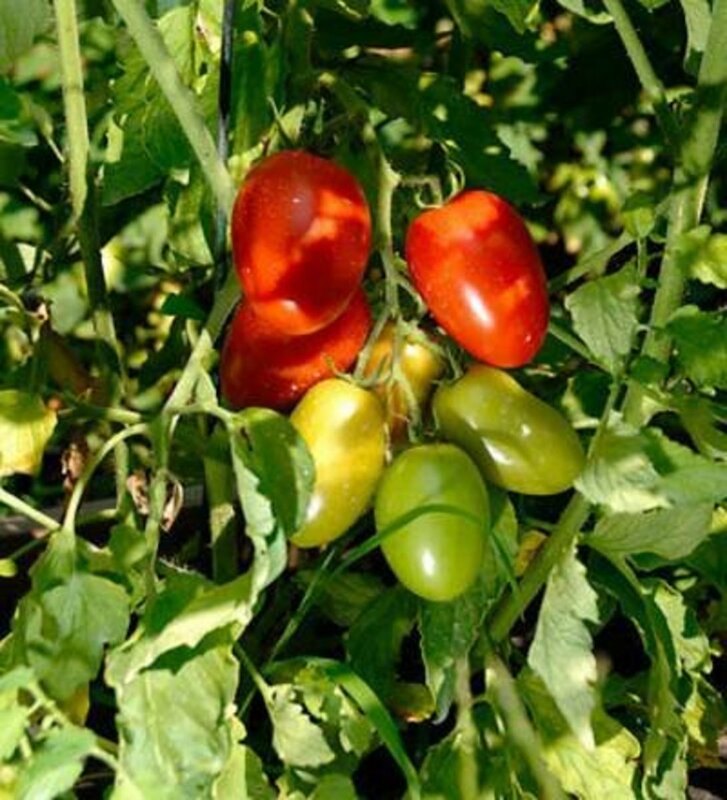 Producing a bumper crop of fruit that can weigh up to 140g per tomato, they are ready for harvest by June when planted in January. Developed specifically for passatas and sauces, the tomatoes are almost lemon shaped. The skin will peel very easily after the fruit is par boiled, making the sauce creation process less fiddly and fussy. With high flesh density and low in seeds, the tomato reduces beautifully, but does a take longer than San Marzano due to a higher level of moisture in the fruit. Besides sauces, Big Mama is excellent for soups and salsas. Big Mama definitely requires support as it grows, with good drainage. So a pot with gravel on the bottom works well for this plant, making it good for patios and greenhouses. If you find that your tomatoes are not all ready at once, par boil them and peel the skins, then dice and bag, placing them in the freezer until you have enough to create a batch of sauce. Once you have made your sauces, you will be able to can them, pour into freezer bags and defrost as and when required, or store in jars. If you are going to keep your mixture in a jar, keep in the fridge and use within 3 days. 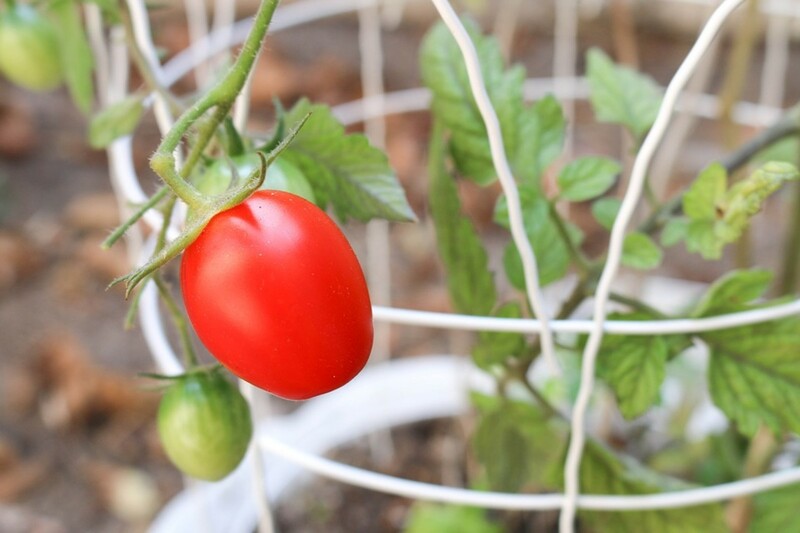 Growing your own tomatoes will give you a steady supply of fresh and tasty fruit, that gives you the extra satisfaction of knowing that what you put on your plate has come from your very own garden!